Lulu Publishing Services, 9781483492933, 234pp. When Jumpin' Jack, the jackrabbit mascot at Gennesaret Christian College goes missing and a note bearing an enigmatic "(L)" is left at his cage, suspicions immediately focus on the philosophy class of Professor Edward Stathakis. 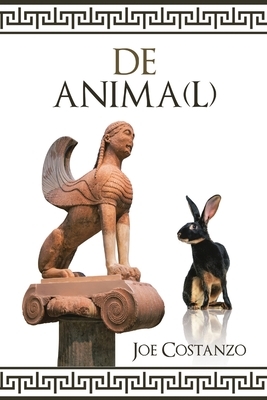 Citing Aristotle's treatise De Anima (On the Soul) during one of his lectures, the professor had tacked an (L) onto the end of the word anima to stimulate a Socratic dialogue among his students on the question of whether animals have souls. Just as the search for the rabbit thief gets underway, a catastrophic fire destroys the luxurious lodge of billionaire Franklin Scott, an inveterate big game hunter and a major benefactor of the college.. Edward soon realizes that his simple academic exercise has inflamed imaginations and deep-seated passions that threaten to upend his life and the lives of his students.